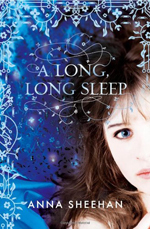 People have been raving about Anna and the French Kiss for as long as I’ve been book blogging. As a great lover of contemporary young adult romance, my interest was obviously piqued, but I didn’t rush to get my hands on a copy because I was worried it wouldn’t live up to my inflated expectations. I need not have been concerned. Anna and the French Kiss is just as wonderful as everyone says it is. The thing with contemporary romance is that it’s a genre where it is particularly obvious that there are only so many stories to be told. The key to a good novel, therefore, is not in the level of originality so much as it is in doing things well and with heart. And Anna and the French Kiss definitely has heart. Anna makes for an extremely likeable protagonist. While she is beautiful (of course), she is not perfect. 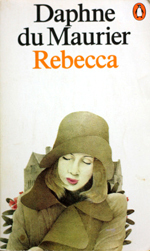 In fact, she learns a few important lessons about herself as the novel reaches its climax. She makes mistakes, but once she realises this, she works to put them right, which is the thing that matters. I particularly enjoyed the fact that Anna is passionate about something other than Étienne – film – and that her plans to study it remain firm despite her feelings for him. Étienne himself is basically constructed by Stephanie Perkins to steal the hearts of a good number of her readers. He is thoroughly charming and always quick to defend and support Anna. There is the clichéd American fetishisation of a British accent, which I always roll my eyes at, but luckily Étienne has more to him than an accent and floppy hair. I liked the fact that he is short and that the trials in his life actually have an effect upon his behaviour. Both the friendship and romantic tension between Anna and Étienne feel very real. Sometimes, romance can feel forced, but that is definitely not the case here. More importantly, neither Anna, nor Étienne, are forced to alter who they are in order to work together. My only concern with the relationship is the fact that, as charming as he may be, Étienne does not really strike me as a good long term relationship prospect. You wouldn’t catch me placing too much trust in sometime with such a history of extreme emotional cheating! 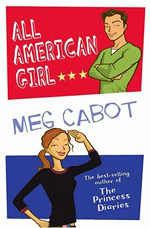 As a brief aside, I often struggle with books with an ‘American Goes Abroad’ focus, simply due to how the other culture is so often described in a patronising manner. This is absolutely not the case in Anna and the French Kiss, which I found very pleasing. In fact, any negativity is directed towards America itself – so perhaps the awkward feeling for non-American readers will be replaced by one for Americans! Anna and the French Kiss is a warm and enjoyable novel, with characters that are easy to like and an overarching will-they-won’t-they plot thread that is very appealing. Stephanie Perkins deserves the praise that this novel has received and I very much look forward to reading the companion books. Charlie and Aaron play girlfriend and boyfriend on a top family television program. In order to boost the show’s popularity, they also pretend to be in love in real life, an act that can be difficult to maintain when they annoy each other so very much. But then their cover is blown, their career is on the rocks and the two teen stars are forced to weather a frantic media storm without the old roles to depend upon. 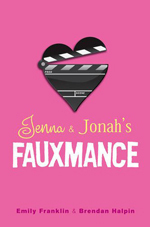 Jenna & Jonah’s Fauxmance is a light read with three distinct parts. 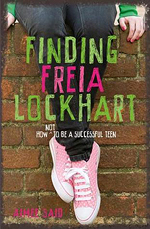 The first section concentrates upon Charlie and Aaron’s life as teen megastars, the middle focusses on their time hiding out together following the outing of their fake romance and the ending is set at a Shakespeare festival, where they have been cast as Beatrice and Benedick in Much Ado About Nothing. The difficulty with this is that each section felt quite distinct and I had mixed feelings about the book as a whole. The first part was fun, the second part dragged a bit and the final section was far more my kind of thing. 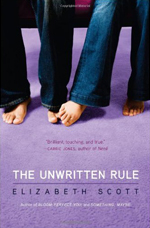 There’s still a focus on the relationship between Charlie and Aaron (after all, this is a romance), but there’s a strong coming-of-age element as well, and the two protagonists are allowed some real character development, which was lacking in the earlier part of the book. Although the novel draws its ideas from Much Ado, it is not really a modernisation as such. Certainly, there are some strong similarities between Charlie and Aaron and their Shakespearean characters, but this is not really played up until the final section of the book. 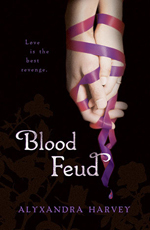 At most points, it reads like a standard fame-based contemporary romance, which I think is a positive. 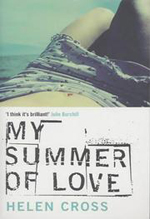 Connecting Jenna & Jonah’s Fauxmance too closely to Shakespeare’s work would undoubtedly highlight the former’s shortcomings, whereas it stands on its own as a fair example of its genre. 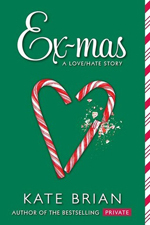 Jenna & Jonah’s Fauxmance switches between chapters told from the first person perspective of the two protagonists. I am not sure whether Emily Franklin and Brendan Halpin took on a character each, as some other collaborations have done, or whether they contributed equally to each perspective, but I did find that the two character voices could seem a little indistinct at times. The biggest difficulty I had with this style of narration, however, was the fact that occasionally the reader is subjected to reading about the same events twice, but from different points of view, which often meant jumping backwards in time with the change of chapter. This seemed to happen more and more towards the end of the novel, and I found it quite a clumsy technique, which really took me out of the action rather a lot. When it comes to likeability, I think that Aaron will be the more popular of the two main characters. Charlie is very realistic, and I enjoyed the way that she allowed herself to be more vulnerable as the story progressed, but she has an edge to her character that makes her initially more difficult to like. Aaron, on the other hand, always seems more down-to-earth. I’m not sure that he’ll end up a major fictional hearthrob, but he’s an interesting character who is not as distanced from readers by his television stardom as Charlie is. If you’re looking for a light romance, you could definitely do worse than Jenna & Jonah’s Fauxmance, especially once the character development starts to kick in. It’s not the kind of book that will stick with me forever, but it was a pleasant way to while away a train trip.